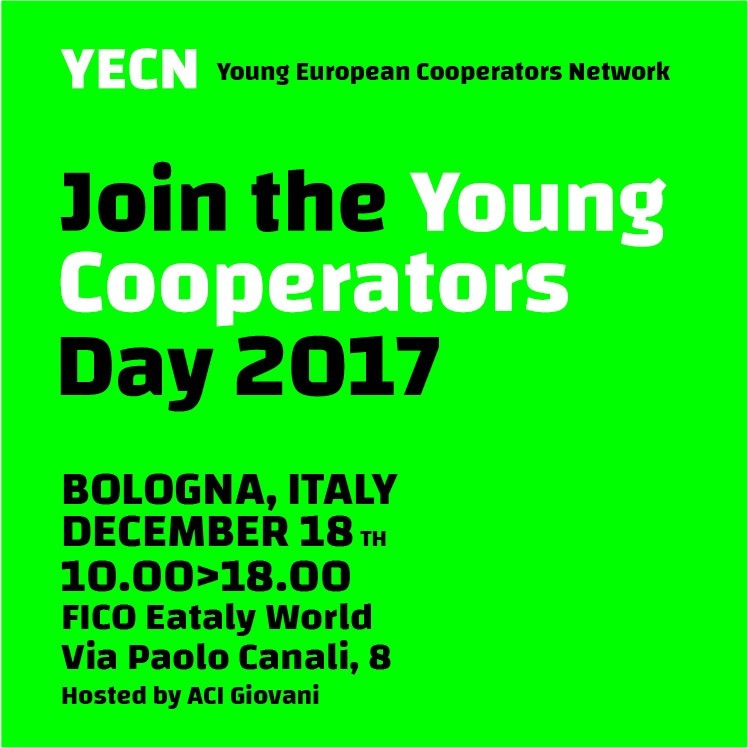 The next Young Cooperators Day will take place on 17 & 18 December in Bologna, Italy. This is an open meeting to all European cooperators wishing to meet with other young cooperators from across Europe, meet the YECN network and discuss, debate and develop on cooperative challenges and opportunities through workshops. Flights and accomodation are not covered, however should you need help or support with accomodation, please get in touch with Louis.